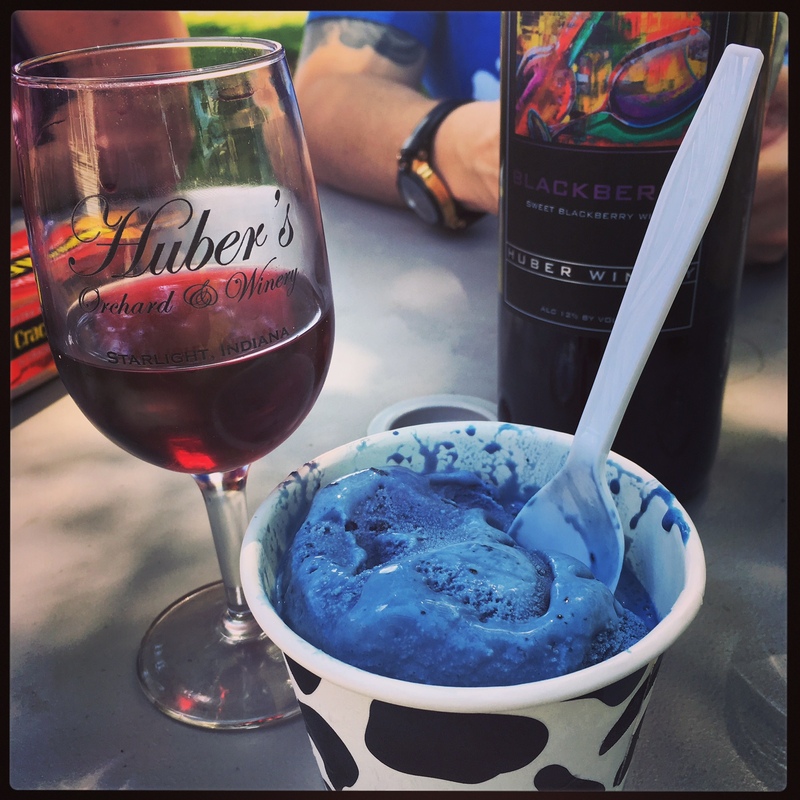 Took a spontaneous trip to Huber’s Winery last Sunday and it refueled my fire for wine, cheese and ice cream. Of course, it was hot as balls and I got eaten by mosquitos, but I enjoyed sitting at a picnic table sipping on blackberry wine and eating cheese pizza and homemade blueberry ice cream. Is it better in the fall? Of course. But it’s not terrible in the summer. Peaches were in season and the wine-tasting host was generous.